easuring blood pressure is a staple of any office visit, and a blood pressure monitor is a key diagnostic tool for nurses, doctors and other medical professionals. But its proper name isn’t a blood pressure cuff at all — rather, it’s a sphygmomanometer. In terms of its ubiquity and importance, a blood pressure monitor ranks right up there with a stethoscope on the list of must-have medical devices. Here, we’ll briefly explain what a sphygmomanometer is and how it works, as well as the meaning behind its long, complex name. Then we’ll break down the two main types of sphygmomanometers (manual and digital) and how to measure blood pressure using one. We’ll then delve into the history of measuring blood pressure and explain how, in less than 300 years, we advanced from shooting blood up a glass tube (yes, really) to using a device that automatically computes blood pressure for us. A sphygmomanometer is a device for measuring blood pressure, and it goes by several different names, including blood pressure meter, blood pressure monitor, and blood pressure gauge. A sphygmomanometer consists of an inflatable cuff, a measuring unit and a device to inflate the cuff, usually a manually operated rubber bulb or an electrically operated pump. The cuff is used to collapse and then release the artery beneath it as the practitioner measures at what pressure the blood begins to flow and at what pressure the blood flows unimpeded. Blood pressure refers to the amount of force applied to the artery walls. High blood pressure, also known as hypertension, is an incredibly common health problem: More than 100 million Americans have high blood pressure, which is the most common cause of cardiovascular disease-related deaths, according to the American Heart Association. 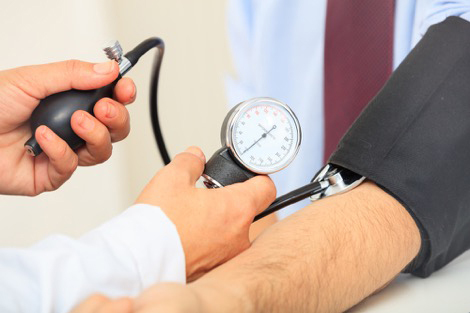 High blood pressure can contribute to damaged and narrow arteries, aneurysms, coronary artery disease, an enlarged heart, kidney failure and scarring, stroke, heart failure and more. 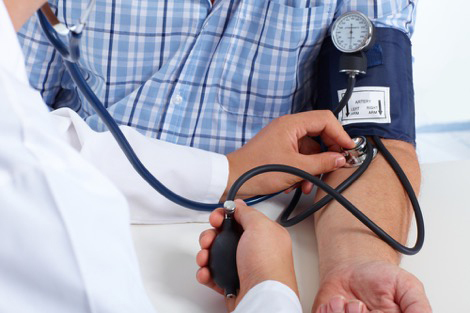 High blood pressure is sometimes called the “silent killer” because there are no warning signs or symptoms of the damage it causes, which is why it’s important to directly measure your blood pressure regularly. 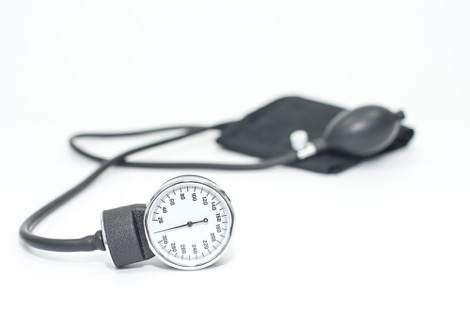 Needless to say, being able to properly measure blood pressure with a sphygmomanometer is an important clinical skill for any medical professional. The name sphygmomanometer comes from the Greek prefix sphygmos, meaning “pulse,” attached to the scientific term manometer. A manometer is a device that measures pressure by looking at how much the pressure causes a column of fluid to rise against a scale. The pormanteau of a name came about because the device originally measured blood pressure by tracking how much the pressure caused mercury to rise in a column (more on mercury sphygmomanometers later). Both manual and digital sphygmomanometers are available, with each type offering different benefits in terms of accuracy and convenience. Let’s break down the pros and cons of each type. Manual sphygmomanometers (a.k.a. manual blood pressure monitors) are usually used in conjunction with a stethoscope, which allows for auscultation — or listening to the sounds of the body, the blood flow in this case — to help determine blood pressure. 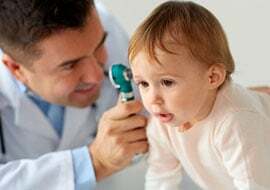 This requires a quiet environment to hear the stethoscope readings, which may not always be possible in a noisy clinic. This type shows blood pressure by causing a rise in a column of mercury that looks a bit like a traditional glass thermometer. These are extremely accurate and do not require calibration, which is why mercury sphygmomanometers were widely considered the “gold standard” for measuring blood pressure. However, concerns about the use of mercury have emerged as more research has been conducted into the toxicity of this chemical, and over the past 15 years, more and more medical professionals have looked to alternatives to the mercury sphygmomanometer. The word aneroid literally means “without water,” so it should not be surprising that aneroid sphygmomanometers show blood pressure on a dial rather than a column of mercury. Because of the lack of mercury, aneroid sphygmomanometers are considered safer, but they can also be less accurate and may have to be calibrated, especially if the model is inexpensive. Jarring an aneroid sphygmomanometer can cause the hands of the dial to move, resulting in inaccurate blood pressure readings; aneroid models mounted on walls or stands are moved less, and thus run less risk of jarring. Digital sphygmomanometers (a.k.a. automatic blood pressure monitors) do not require the use of a stethoscope and instead employ oscillometric measurements and electronic calculations to determine blood pressure. As the blood pumps through an artery, it causes vibrations in the arterial wall that the instrument detects and then translates into electric signals. Because the measurements and calculations can be made without listening through a stethoscope, automatic blood pressure monitors can be used in noisy environments. In decreasing order of accuracy, the cuff of a digital sphygmomanometer may be placed around the upper arm, wrist or finger — but don’t confuse it with a pulse oximeter. Automatic blood pressure monitors can usually give a pretty accurate reading on mean blood pressure and pulse, but they are not as accurate at measuring systolic and diastolic blood pressure when compared with both mercury and aneroid sphygmomanometers. Systolic pressure is measured when the ventricles of the heart contract, while diastolic pressure is measured when the ventricles of the heart relax. Because this type does not require a trained practitioner to operate, doctors may advise that certain patients (such as those with chronically high blood pressure) monitor their own blood pressure at home using a digital automatic blood pressure monitor. 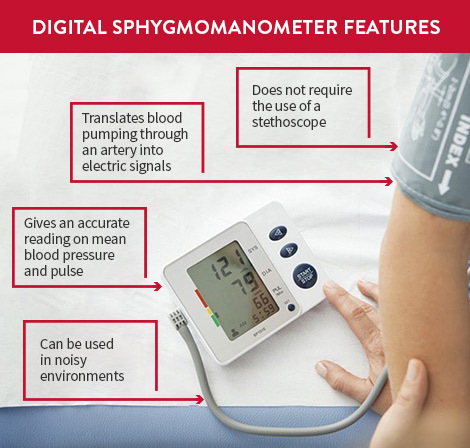 However, digital sphygmomanometers — especially at-home models — are prone to inaccurate measurements, especially when operated by a non-professional. 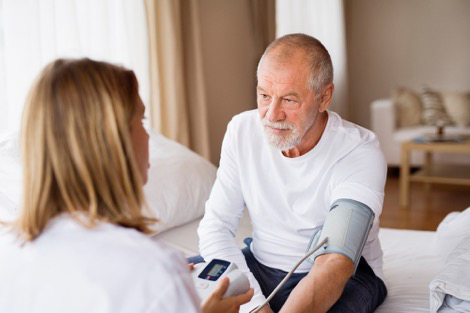 Patients should not make any changes to their medication doses or other treatment regimens based on at-home blood pressure readings without discussing the changes with their doctor first. How to Operate a Sphygmomanometer? 1. First, ensure the cuff is the correct size for the patient’s arm. At least 80 percent of the arm — but not more than 100 percent — should be covered by the air bladder inside the cuff. Using a cuff that is too small or too large will result in a reading that is too high or too low, so start with the right size. 2. Also ensure the valve and bulb are attached securely and that there are no leaks anywhere, as this will interfere with getting an accurate measurement. 3. Wrap the cuff around the upper arm with the lower edge of the cuff about one inch above the antecubital fossa (a.k.a. the inside of the elbow). 4. If using a manual blood pressure monitor, place the head of the stethoscope (a.k.a. the diaphragm) directly below the cuff’s edge on the inside of the arm. Be sure it is positioned right over the brachial artery, the main artery that runs down the length of the upper arm. 5. Rapidly pump the bulb to inflate the cuff until the pressure gauge reaches 180mmHg —which stands for “millimeters of mercury,” a nod to the origins of the blood pressure monitor. The high pressure momentarily cuts off blood flow, so you should hear no sounds through the stethoscope. 6. Slowly release air from the valve while holding the stethoscope in place. Keep an eye on the gauge as you do so and try to make sure the needle drops at a slow but steady pace, about 2 to 3 mmHg per second. 7. If you’re using an automatic blood pressure cuff, it will calculate blood pressure for you and display it on the screen. If you’re using a manual sphygmomanometer, listen through the stethoscope as you slowly let out the air. Monitor the pressure and follow these next steps. 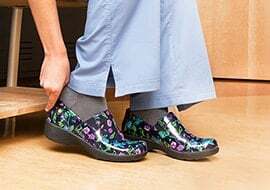 At first, you’ll hear a knocking or tapping sound (Korotkoff sounds, more on these in a sec) as the dropping air pressure in the cuff reaches the same pressure as the patient's systolic blood pressure. Make a note of the pressure measurement when you hear the sounds; this is the systolic blood pressure. As the pressure in the cuff continues to drop, the Korotkoff sounds will fade and then cease all together. Once this happens, make another note of the measurement; this is the diastolic blood pressure. Together, those two numbers make up the patient’s blood pressure reading. For example, if you measured 120 systolic and 80 diastolic, you would say, “120 over 80” or write “120/80 mmHg.” Any blood pressure at or below 120/80 is considered normal. Stephen Hales, an English clergyman who also made major contributions to scientific fields as wide-ranging as botany and physiology, was the first to directly measure blood pressure. He described the process in his book, “Haemastaticks,” which was published in 1733. He accomplished this by inserting a large glass tube upright into a horse’s artery and observing the increase in pressure as blood was forced up the tube with each beat of the heart. Thankfully, other doctors and scientists developed less invasive methods of measuring blood pressure, but it took nearly 150 years for Samuel Siegfried Karl Ritter von Basch (yes, that’s one man) to completely do away with the arterial puncture method. The Austrian-Jewish physician developed the first sphygmomanometer in 1881, using an inflatable rubber bag filled with water that could be pressed to the pulse. The bag was attached to manometer bulb filled with mercury; any pressure created in the water bag by the pulse was transmitted to the bulb, which caused mercury to run up a hollow column and record the systolic pressure. Italian internist Scipione Riva-Rocci further refined the sphygmomanometer, publishing a paper explaining his new design in 1896 and introducing the cuff that is so familiar today. The design made it much easier to take a patient’s blood pressure while still retaining an accurate reading, which is why the cuff has become the standard even to this day. 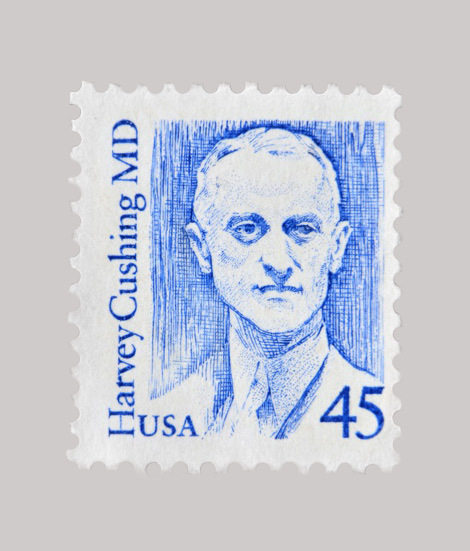 In the very early 1900s, American neurosurgeon Harvey Cushing (the first to describe Cushing’s disease) visited Riva-Rocci in Italy and was impressed by the blood pressure device in action. Cushing brought a sample back to the United States, which helped popularize the device and caused use of the sphygmomanometer to spread across the medical community. The next development in blood pressure measurement came with Nikolai Korotkoff’s development of a technique to measure both systolic and diastolic pressure in 1905. The Russian surgeon noticed that if a stethoscope was placed over the brachial artery, he could hear a tapping sound as the cuff was deflated and blood rushed back into the artery (systolic pressure) and then silence once the pressure was gone (diastolic pressure). Combined with the reading on the mercury manometer, this new auscultatory technique allowed for blood pressure to be measured both during both the contraction and the relaxation of the ventricles, offering a more complete picture of blood pressure measurements. This technique — a mercury sphygmomanometer coupled with a stethoscope — remained the standard for measuring blood pressure for more than a century. While aneroid and electronic sphygmomanometers have been introduced since then — and mercury sphygmomanometers are on their way out — the basic principles of measuring blood pressure remain the same. Measuring blood pressure is a simple but critical way to monitor someone’s health, whether it’s your own or a patient’s. Although mercury models are being phased out, sphygmomanometers are still the most accurate way to measure someone’s blood pressure. If you’re looking for the best blood pressure monitor, need to replace your old mercury sphygmomanometer with an aneroid model or want to switch over from manual to digital, we offer a wide selection of blood pressure devices.